Hot Diggity Dog! 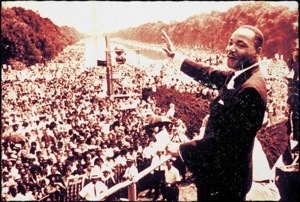 The finest words regarding freedom and equality were delivered on this day in 1963 before 200,000 citizens in front of the Lincoln Memorial by Dr. Martin Luther King in his “I Have a Dream” speech. It is available for everyone to see on the web. It’s the kind of speech that makes you wag your tail with hope for the future and love for your neighbor. Perhaps more global leaders should revisit the core message of Dr. King’s words.